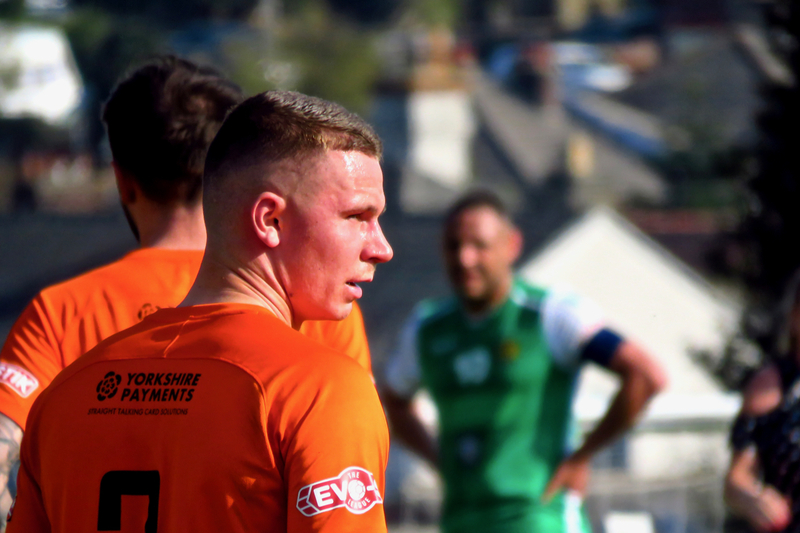 Decided early on that today’s pic from the football was going to be a portrait, and in the end, the prize of being the model goes to Brighouse Town’s number 2, Rhys Jenkinson. He’s not looking stressed out at this point, nor should he seeing as this was towards the end of a comfortable 4-0 victory. 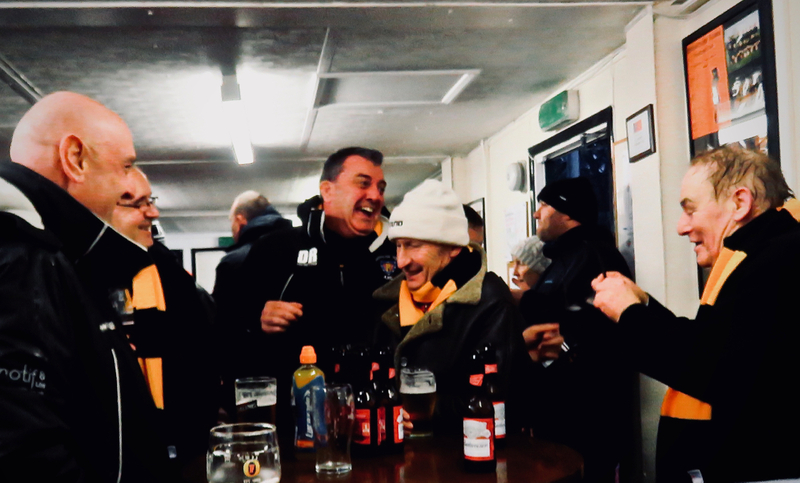 Seeing as Brighouse should make the play-offs in their league this season, and I care about this, expect to see a couple more BTFC images before the next two weeks are out. The tour of English football competitions continues: number 8, the FA Trophy, at Bamber Bridge FC v Brighouse Town FC, Bamber Bridge lying just south of Preston in Lancashire. 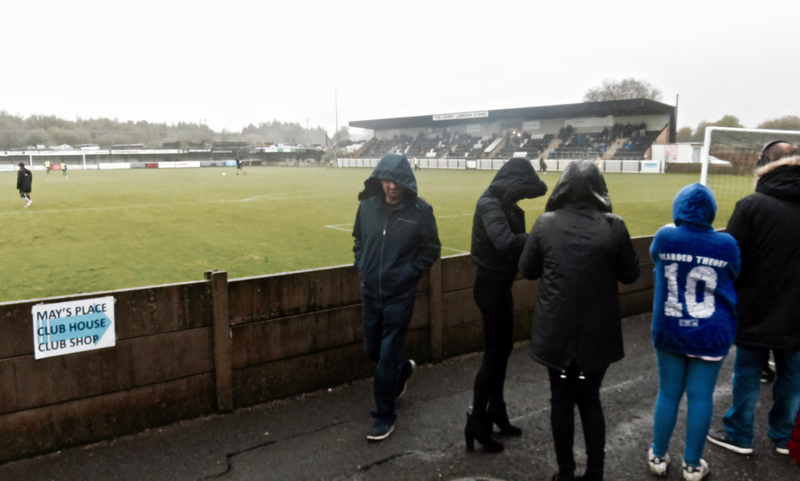 A grim day of weather, which this picture encapsulates — but, I must also add, an excellent day out, entertaining game of almost wholly non-cynical football, welcoming stadium… a fine cocktail to celebrate Non-League Day and all the roots that keep the sport I love going in this country. 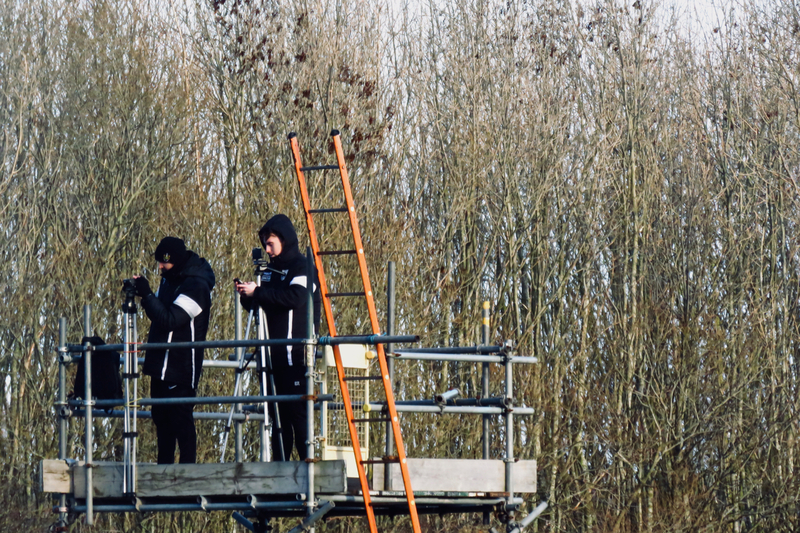 4-2 to Bamber Bridge in the end. Maybe some of these fans got their food before the second half, too.